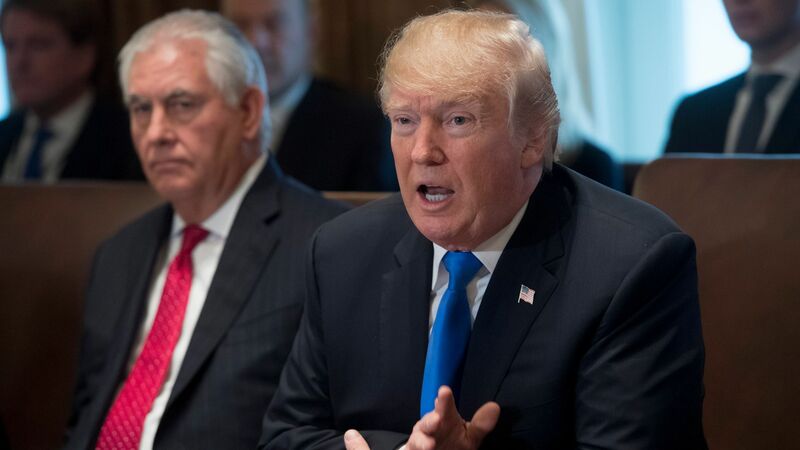 President Trump tweeted Friday that he thinks his former Secretary of State, Rex Tillerson, was "dumb as a rock" and "lazy as hell" in his leading role at the State Department. The backdrop: Tillerson said Thursday at an event in Texas that Trump "often" asked him to do things that would break the law. The conversations between the president and his then-Secretary of State about what Trump could not do "strained" their relationship, as Trump "would get very frustrated."